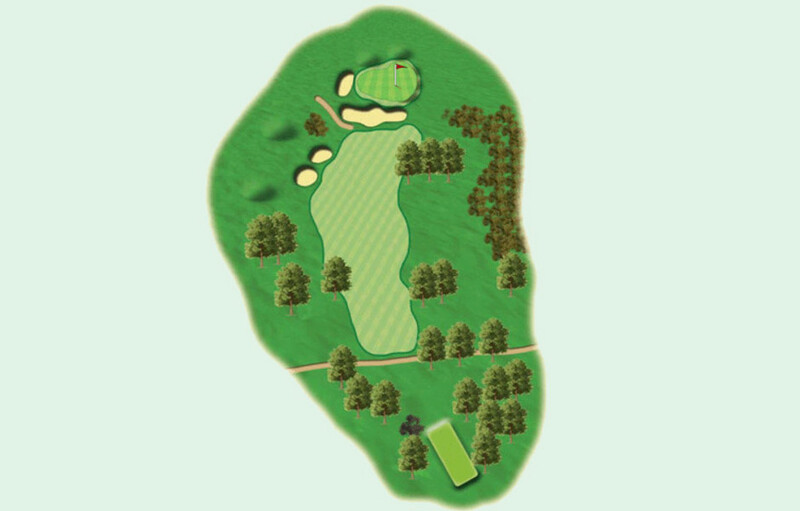 This short par 4 offers the challenge of going for the green, or playing percentage golf. To reach the green, the trees on the right of the fairway must be cleared. The safer option is to play up the lefthand side then pitch on to the green, avoiding the perils of the sand shelf.